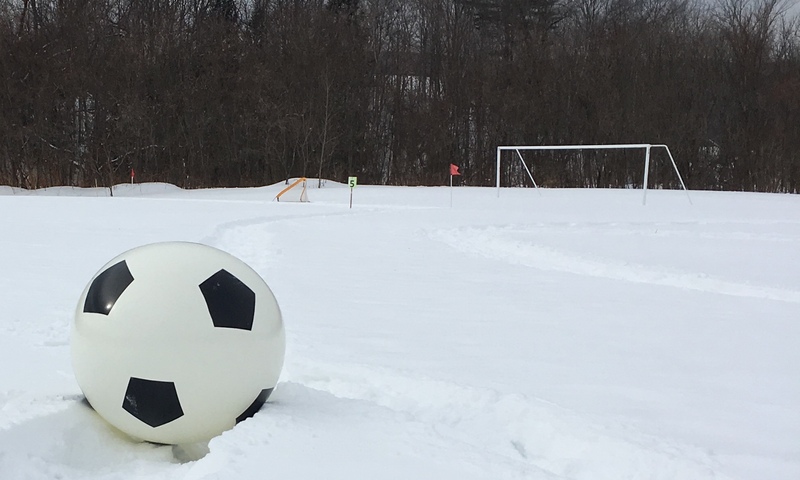 Waterbury Youth Soccer is sponsoring this family-friendly, all-ages winter soccer celebration, featuring five (5) Olympic-inspired events. Medals, raffle tickets and s'mores for all Olympians! Test your skills and challenge others at the Soccer Slalom, Snowman Shoot-out, Soccer Javelin or Soccer Biathlon. Join a pick-up game of Super-Size Soccer! Cheer on your favorite Olympian or watch Capital Soccer's co-ed winter soccer matches. Warm up by the bonfire and roast marshmallows. Get your photo taken with Regal, the Snow Eagle. Admission is free!